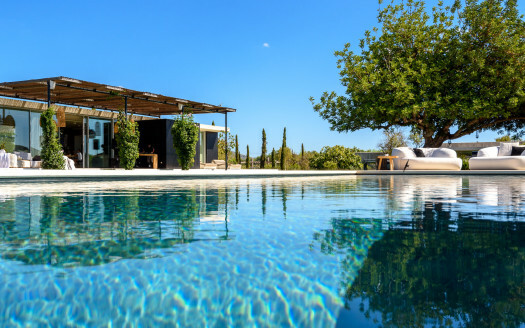 Amazing luxury villa for rent in Ibiza, with breathtaking sea views, located close to San Miguel (Ibiza). Bedroom 6: (queen) with bathroom en suite (shower/tub). Amazing view from the terraces on the sea. Large dining table indoor and outdoor. Large terraces and several chill out areas. Infinity pool (14x 7m), and sunbeds. Electric gate entrance, fenced plot, carport (4 cars). 6 bedrooms have independent entrance. 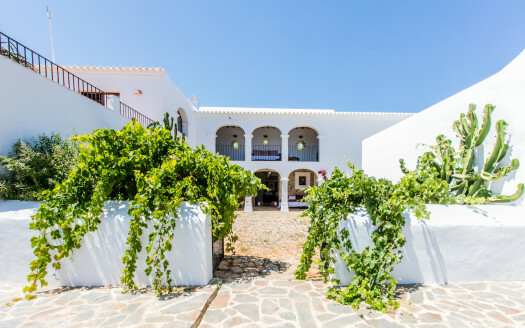 This Villa is located in Na Xamena, close to San Miguel. Marina Botafoch is 25 min. RATES 2019, per week , 10%vat included. – 4 hours daily cleaning and final cleaning. 6 days per week.